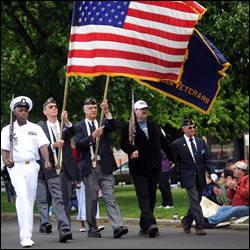 The Denver Memorial Day Parade and Tribute event takes place in Denver Colorado in May. Show your support for those who have sacrificed their lives for all of us while serving our country. The parade also is held with the Veterans Memorial Day Tribute at the Veterans Monument. Visit Downtown Denver this spring and experience an inspiring time remembering and honoring our Colorado Veterans.